Celebrate any occassion with the gift of gourmet dining! This wonderful Maria's Gourmet Kitchen Gift Certificate is conveniently redeemable online at checkout. Order in any quantity desired in multiples of $25. Gift certificates are emailed to you or the recipient but can be mailed directly to you as well. 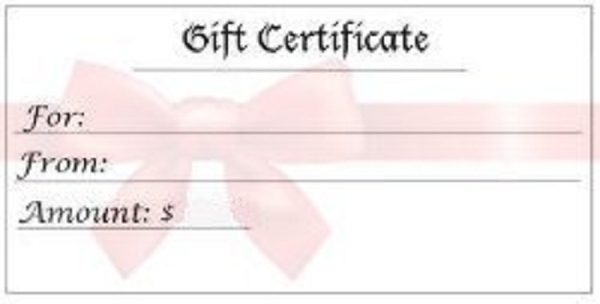 If you'd like your gift certificates mailed to you, please select that option above. Note: You will receive separate gift certificates for each quantity. If you'd like a single gift certificate for a higher dollar value, consider our $50 and $100 gift certificates.